I may get Soundcloud at some point, but haven't as yet. As for the enthusiasm for the 15, I can only speak from my perspective. To me Moog have got the modular approach right for where iOS is currently at. The sound to my old ears is of very high quality for software emulation of analog - the most important factor to my mind. The next thing that just works for myself is the UI and what they have included. No multiple modules to add, just spending the power iOS has on the basic modules. 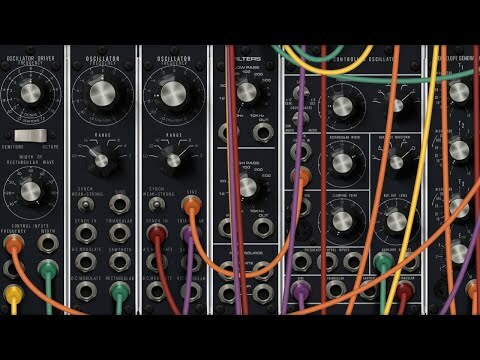 Other modular apps out there can do much more, but they just don't sound this good (imho). 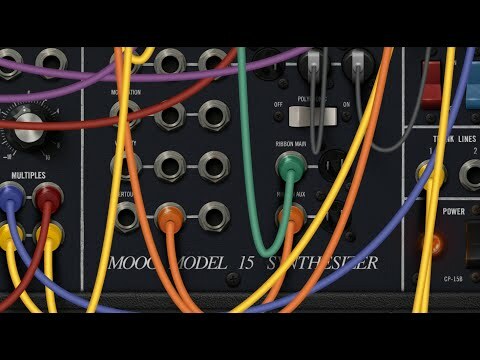 I've never owned a Moog modular, but have owned or used some lovely gear over the years and from my perspective, the 15 has a very musical quality to it. That may sound odd, but some synths (hardware and software) just seem to lack a certain musical quality. Those sound incredible. Were both created solely with Moog 15 and nothing else?! Nobody pissed any anyone's cheerios. Thanks for that one man! That one nugget made the ridiculous amount of time I've spent reading this mind-bogglingly long thread worth it. Yes, apart from a splash of reverb and some minor EQing. Thanks Sine Wave oscillator on 921 Model 15. Good night! Don't know one thing? Is it 995 or 955! Please Moog! Ha - you were right! Good to have you back on the forum! I'm sure you're right - but i'm just addicted to doing everything in Gadget right now. Hooking up apps to Daws and Midi learning and all that jazz just feels like quite a hassle . By the time you've recorded it you realise you want something different! @skiphunt Fair comment. I think I need to make a pledge not to get involved on any level with how much things are or what or whether they may or may not be worth it. Seems like a zero-sum game which often leads us to getting scratchy. And thus I'm going to Po myself hereinafter etc. What I don't get my good man, is where you got this idea anything I was commenting on had anything to do with worth. 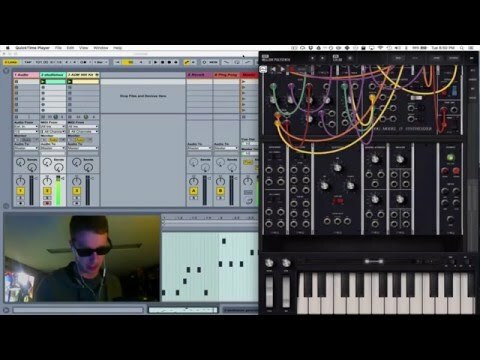 I was simply trying to keep my own propensity to get drunk on new-app hype in check, and see what was in the thick of this new synth. Wasn't ever about cost for me, in that it sounds like it's worth the cost to many. Anything over a few dollars, then I have to ask questions to evaluate if it's a good fit for me. That's all. I'm guessing that my initial attempt at self-effacing humor wasn't successful. Honestly just trying to get past the rapturous clouds of Moog-Joy, and ask what the deets were regarding why everyone is so ga-ga while also asking about some typical user sample demos. Did not mean to go all "sea lion" on ya. Holy ccccccccrap man. Both amazing. Just got back from the S. Dikiciyan trip...think I'll go again. Can someone comment on the tutorial components of this app? Are they fairly thorough? Are they mostly targeted to an audience who's already familiar with modular synths? Or, are they written in such a fashion that even a layperson/novice can fully understand? Ah, first disappointment? Unless I am missing something, because of the 2finger panning there is no ability to tweak 2 knobs at once. Audulus has this same problem. Unless in this case it is because of cpu/gpu limitations. Also, not sure if possible but the cables could be a little more transparent after double tapping? Would be easier to see what's behind if even more ghosted. How do I touch more than one knob at a time without mapping MIDI cc? We decided against this since it proved more important to be able to quickly put two fingers down to pan around without risking changing any knobs. Without this two finger panning, you'd have to continuously try to avoid existing controls to navigate. We'll continue to evaluate the possible gestures and who knows, maybe in the future we'll find a way to make more than one knob control work together with all the others. Is there a PDF manual that we can read without loading the app? Not yet, we're looking into this. cl516 - Perhaps you already know this but there is a possible way to turn two knobs (well, sort of) without using an outboard controller. Use the ribbon controller and/or aux. controller to control things like filter frequency or osc frequency. You can use the keyboard, the ribbon, the aux controller, and still turn one knob all at the same time if you are nimble enough. And there is the arp to keep in mind. This method won't work if you want to turn two knobs that aren't VC at the same time (both env releases or mixer levels), but it will work for one or two VC parameters (using controllers) plus one non-VC one (use a finger on the knob). Haven't bought yet, can't speak to their contents etc. Good prices in iap thanx for the info, i think cheaper than some animoog pack. Somewhat surprised myself. No doubt the pay ones are good, but I swiped the FB ones and while a few of the percussive sounds are interesting (reminds me of Earhoof actually), I don't think anyone who doesn't want to visit the Facebook Pit is really going to be missing out so very much. I'm with wim, the cheerios was worth the wait, lets see what ya got for the cornflakes but best wait til next time. In general I think folks need to calm down, we collectively have to understand at some point that we are meeting here at this intersection of time and space but that we are all individuals, that even goes for those of us who come from the dimension of 'only my opinion is acceptable', so you speak for your whole dimension that's cool, but now you are in an environment that represents more than one dimension, ignoring that won't make it any less real but bringing whatever civility they're working with from where ever you're from will do wonders to help us all get along. Wow. This app is now number 7 in the App Store chart (UK). That's for all categories, not just music. Guess MoogMusicInc have got everything right with this one. I also love how Moog worked closely with Apple on this app. Hopefully Apple will recognise the true possibilities of iOS music production. This could really push what is (still) a niche interest further towards the popular mainstream. Proof that you Brits are a bit more musically sophisticated in my opinion! Sadly there isn't a single music app in the top 10 here in America. Model 15 is currently the highest ranked music app at 19. I too am thrilled to hear that Moog worked closely with Apple on this one! It really shows! Future looks bright for us iOS musicians!!! Thank you, ladies and gentlemen, you've been a wonderful audience. I'll be here all week. Try the veal. And don't forget to tip your servers! @cl516 - Using attenuators might be helpful when using the ribbon/aux controllers. The ribbon is really long and the aux is really short, so boosting or weakening the signal might help.